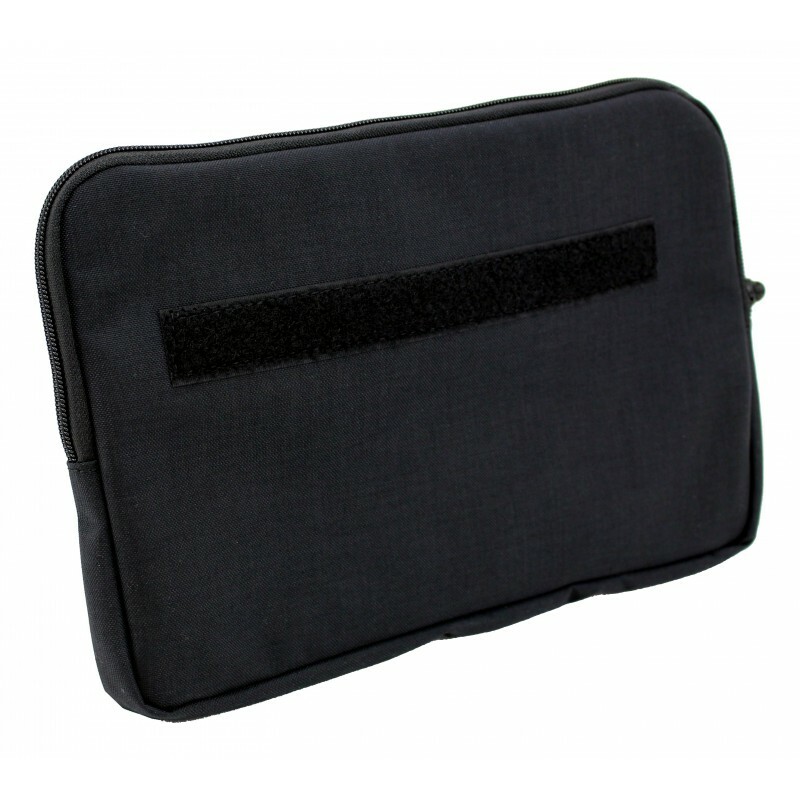 Protect your tablet-PC against dust and scratches! 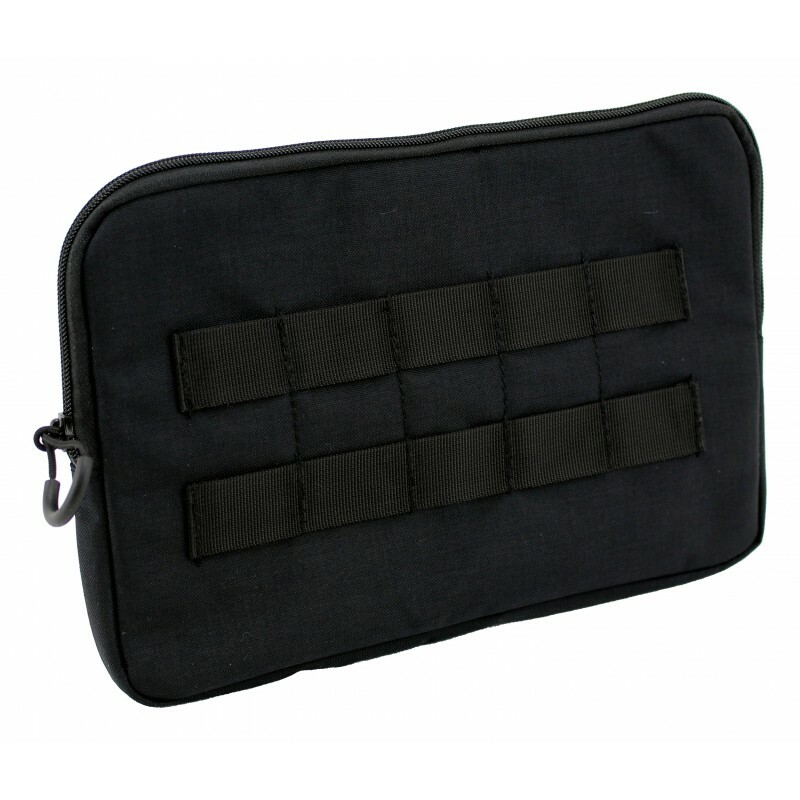 This protective case ist closed by a zipper, so dirt and dust remain mostly outside. 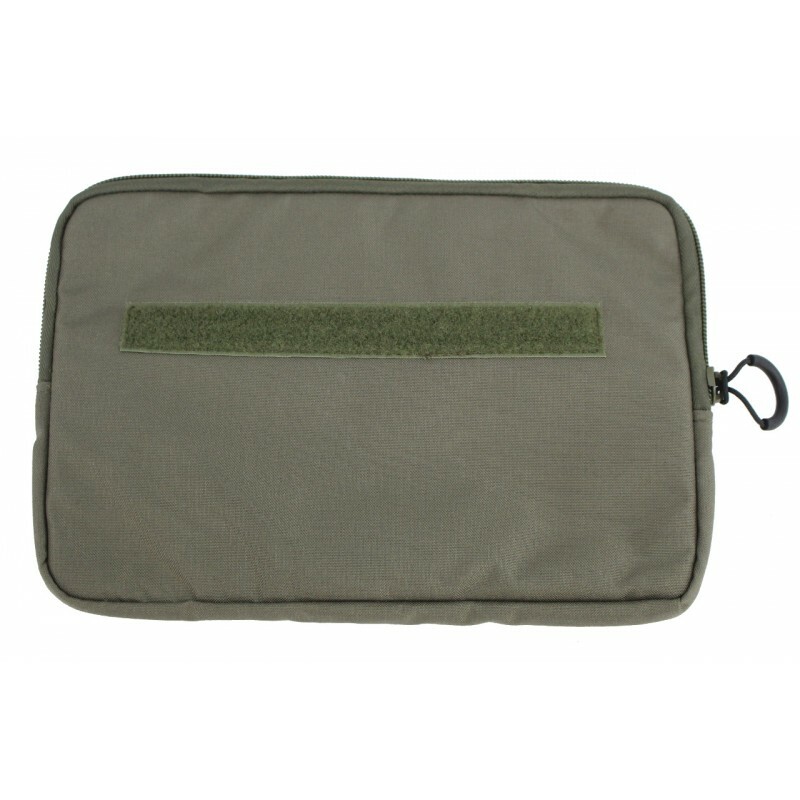 The insides are lined with 3D warp-knitted fabric, so dust is bound outside. 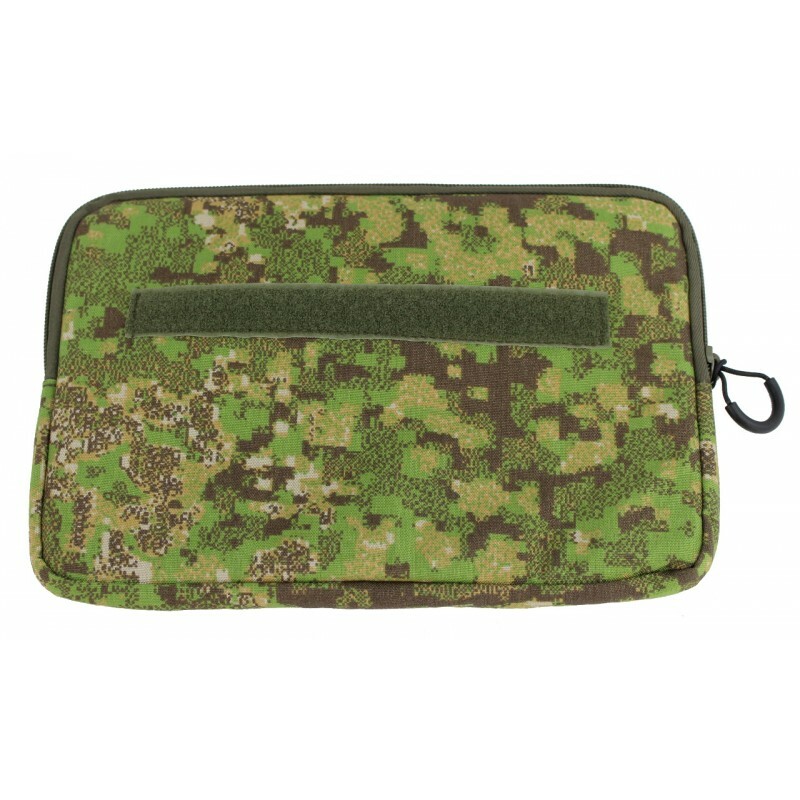 Even infiltrated liquid is kept away from the electronic device. 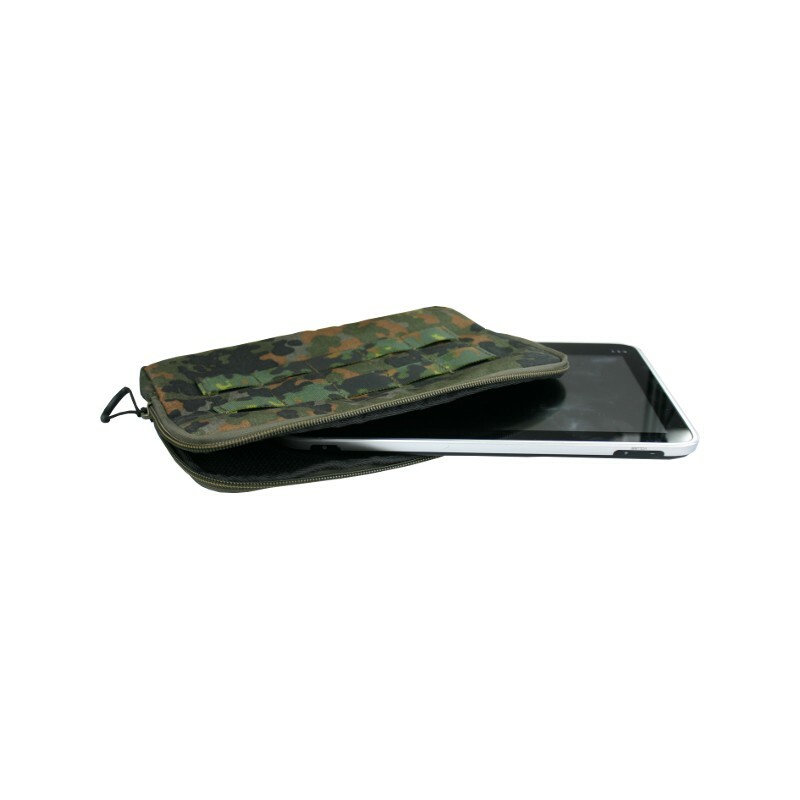 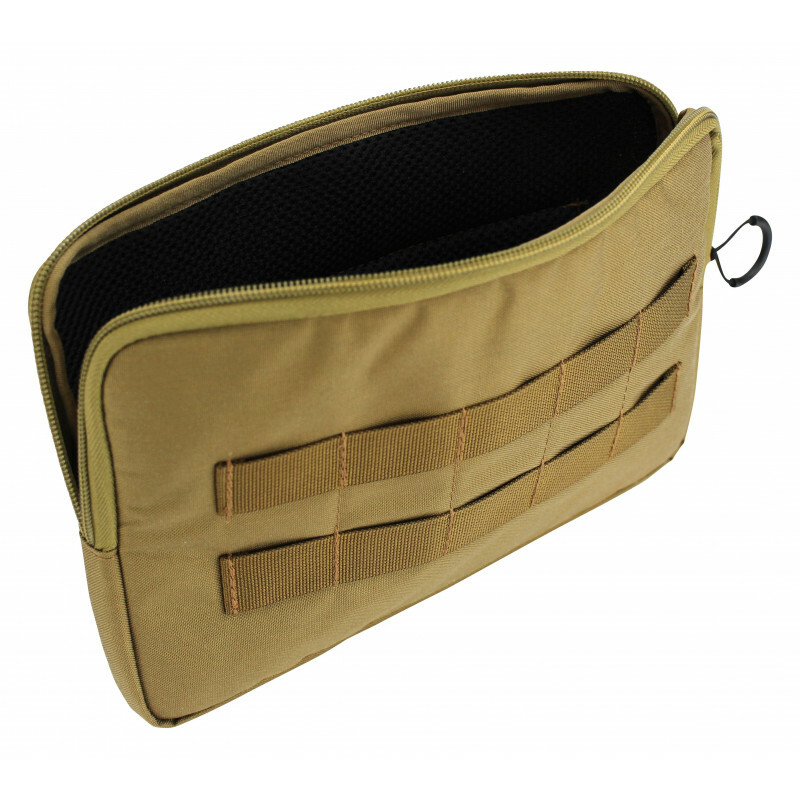 The outer shell is made of highly durable Cordura®, which is impregnated and PU coated. 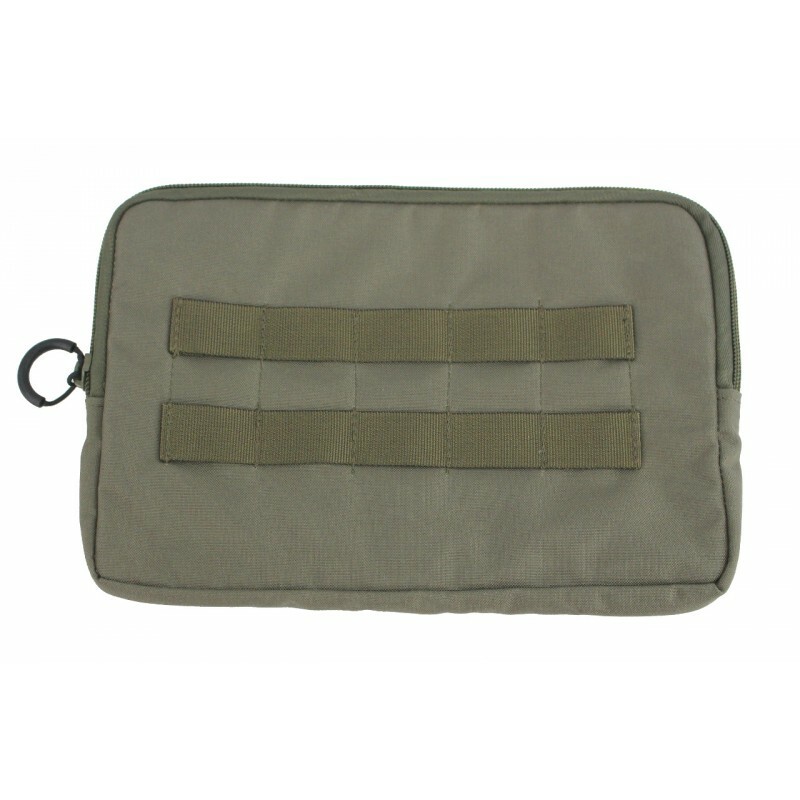 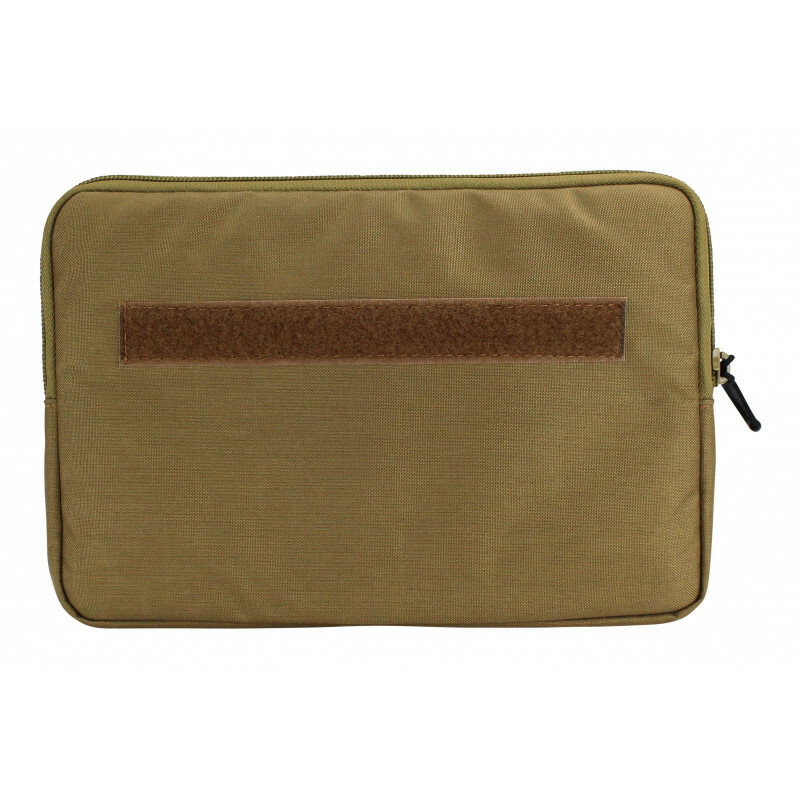 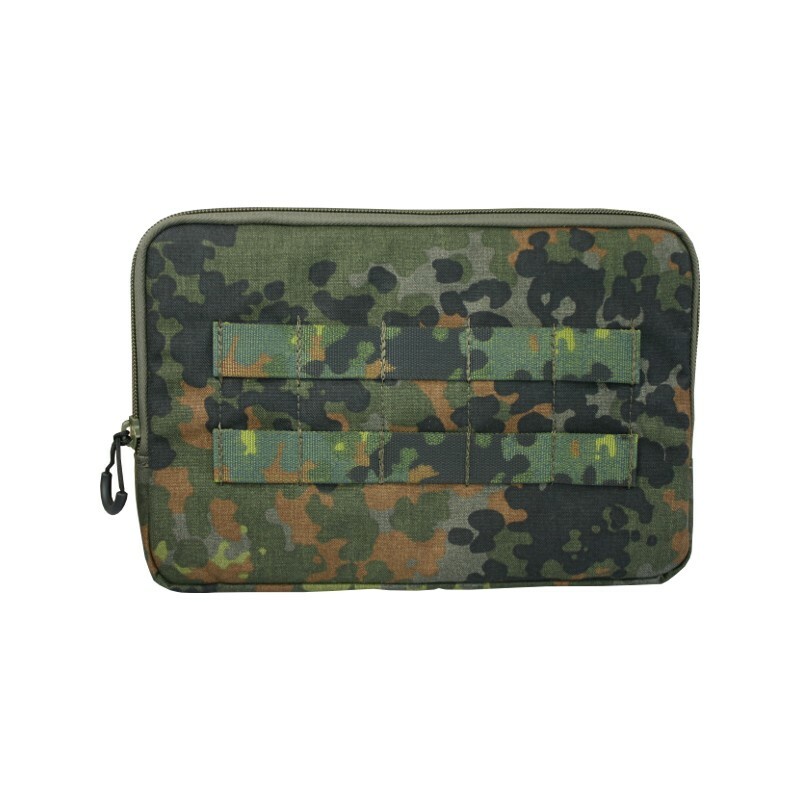 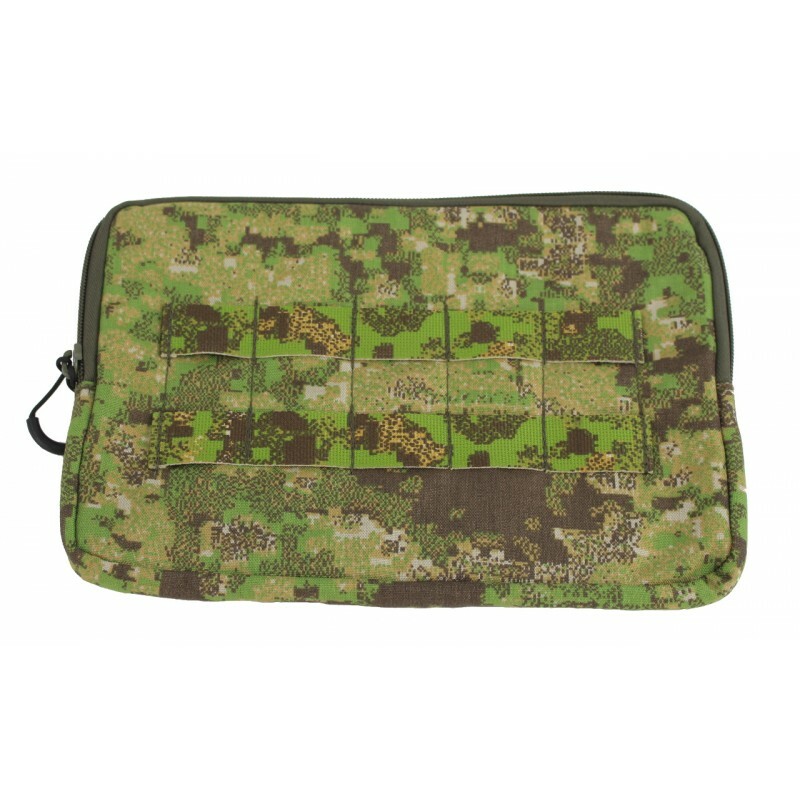 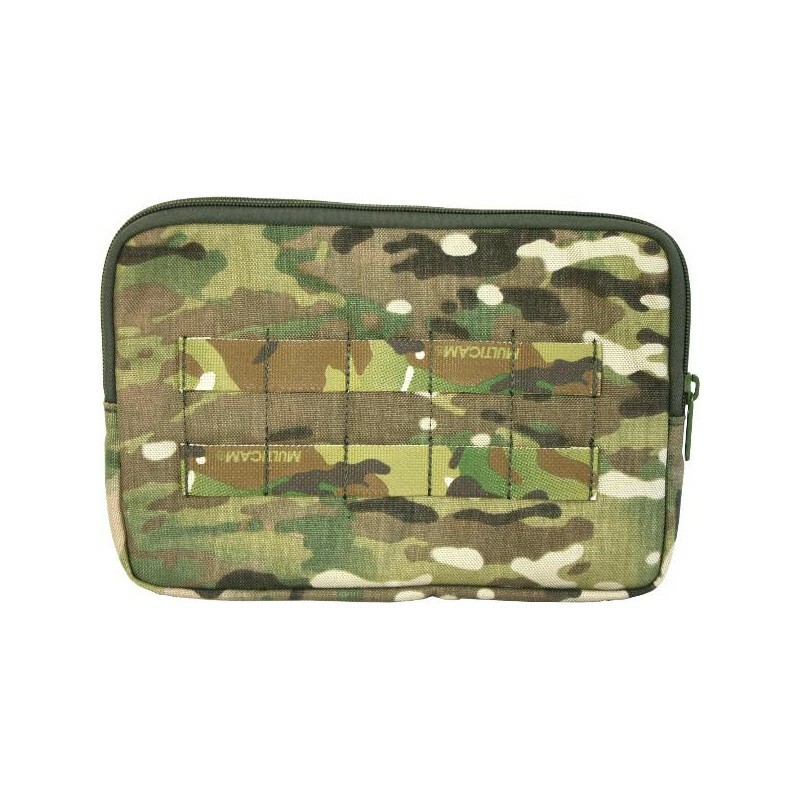 On one side of the tablet protective case tactical are sewn 2 rows with 5 channels of Molle-loops. 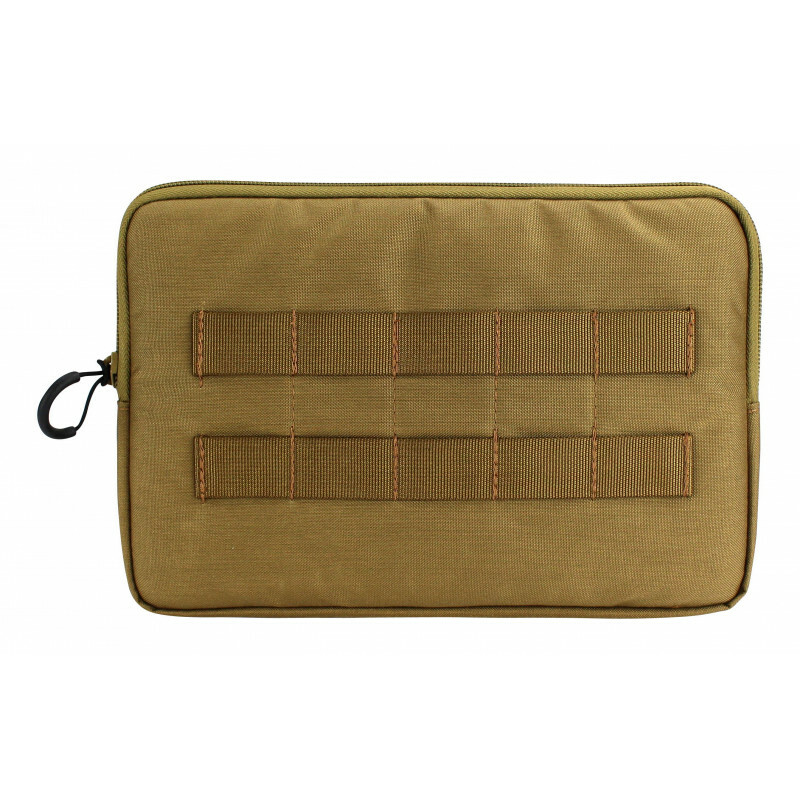 Here you can attach extensions like a Admin Pouch or a Smartphone Pouch. 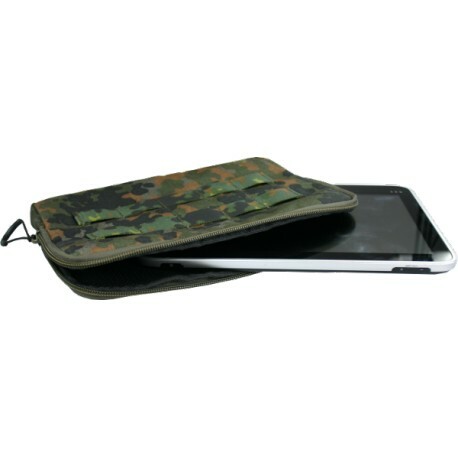 Our products are handmade with materials, which are produced mostly from german companies. 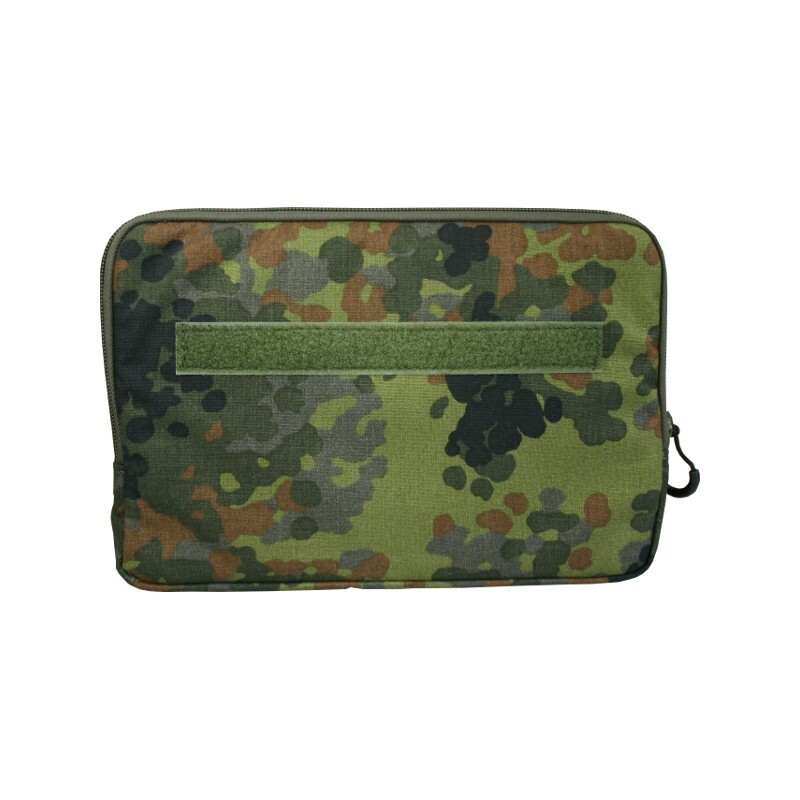 All materials have the highest german quality standards and are produced and sewed conscientiously by us.